Developing for Windows Phone is now closer to developing for the Windows 8 runtime, according to information from Microsoft’s Build sessions, just published. Build is Microsoft’s developer conference which opens tomorrow in San Francisco. We’ve been doing a lot of work with new converged XAML app support on Windows Phone 8.1, but what about legacy Windows Phone Silverlight XAML based apps? Come learn about all the new features we’ve enabled with Silverlight 8.1. Microsoft has also come up with new APIs for applications that integrate with its Azure cloud platform and with Office 365. The Authentication library for Azure Active Directory lets you build both Windows and mobile applications that authenticate against Azure Active Directory, used by every Office 365 deployment. There is also talk of using Azure for Connected Devices, meaning “Internet of Things” devices using Azure services. Connected Productivity Apps: building apps for the SharePoint and Office 365 platform. What’s new in WinJS: the road ahead. XAML vs HTML/JS is a big decision for Windows developers. Panel discussion on desktop development: is there a future for WPF? Maybe some clues here. Miguel de Icaza gets a session on going mobile with C# and Xamarin. I recall when de Icaza ran sessions on Mono, the open source implementation of the .NET Framework which he initiated shortly after Microsoft announced .NET itself, in nearby hotels at Microsoft events; now he is inside. Learning from the mistakes of Azure: Mark Russinovich on what can go wrong in the cloud. Looks like both cloud and apps for Windows Phone/Windows 8 are big themes at Build this year. Microsoft is giving up its long effort to compete with Adobe in the design tools space. The Expression range of products is being discontinued, in favour of enhanced design capabilities in its developer-focused Visual Studio. 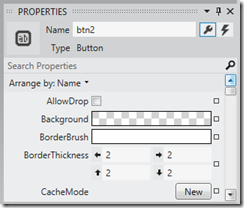 Blend for Visual Studio continues, as a design tool for Windows Store apps and Windows Phone apps. 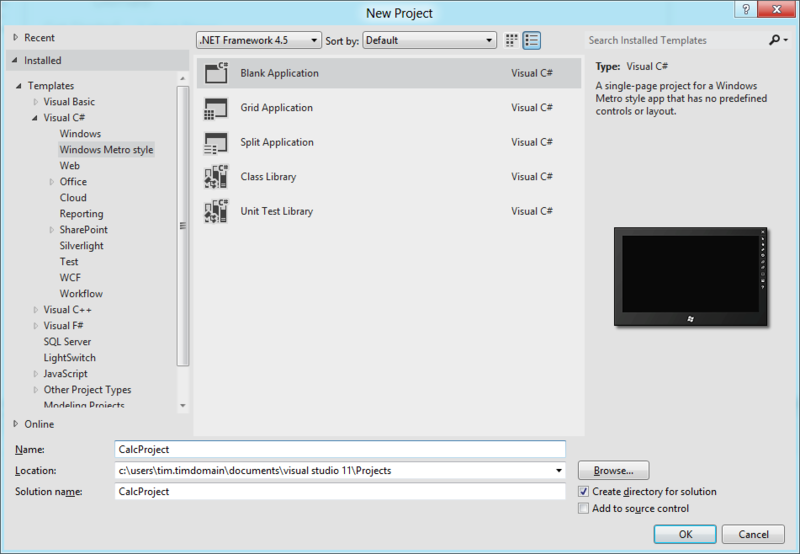 A future edition of Blend for Visual Studio, currently in preview, will add WPF (Windows Presentation Foundation), Silverlight, and SketchFlow support. 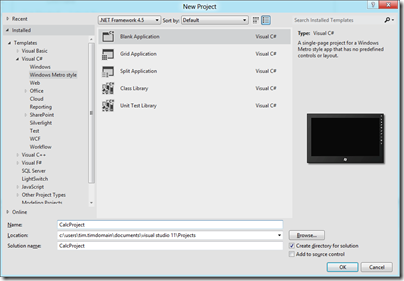 The release version of this upgraded edition is promised for Visual Studio 2012 Update 2. Microsoft is consolidating our lead design and development offerings — Expression and Visual Studio — to offer all of our customers a unified solution that brings together the best of Web and modern development patterns. Expression Web, the web design tool which evolved out of FrontPage, and Expression Design, a vector drawing tool, will be discontinued completely. Microsoft’s web design tool will now be Visual Studio. One consequence of this decision is that Expression Web 4 and Expression Design 4 are now free downloads, though unsupported. Expression Encoder, for converting media for streaming, is also being discontinued, though Expression Encoder Pro will remain on sale throughout 2013. Microsoft says it is still investing in format conversion as part of Windows Azure Media Services. 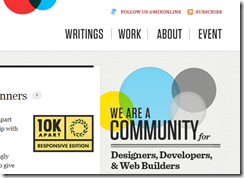 For Microsoft, the web is dying and the future lies in Windows 8 apps. 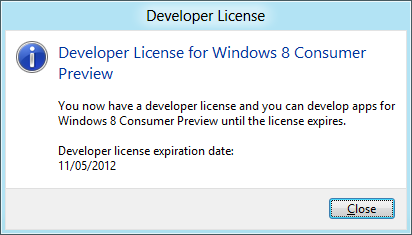 When asked what we web developers should be doing the answer was the same: Make Windows 8 apps. Which is about as useful as telling a contractor to start erecting tents instead of houses because houses are no longer relevant. Anyone outside the reach of whatever reality distorting force field they have running at the Redmond campus can see how idiotic this is, but that hasn’t stopped the people in charge for pulling the plug on one of the few applications from the company that had something new to offer. That said, Expression Web has been available for a number of years and made little impression on the market, so how much value is there in continuing with a tool that few use, irrespective of its merits? The decision makes sense in that Microsoft is shutting down an unsuccessful product line in order to focus on a successful one, Visual Studio. Further, the end of Expression illustrates the difficulty Microsoft has had in attracting designers to its platform, despite high hopes in the early days of WPF and Mix conferences in Las Vegas. 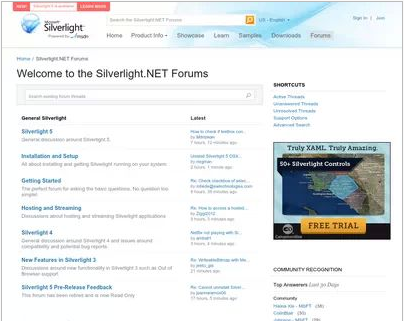 There has been some Twitter chatter about the closure of silverlight.net, Microsoft’s official site for its lightweight .NET client platform. multimedia player and browser plug-in. I am not sure when it happened, but it is true. 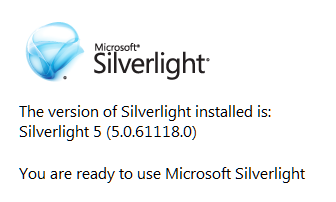 Silverlight.net now redirects to a page on MSDN. Some but not all of the content has been migrated to MSDN, but Microsoft has not bothered to redirect the URLs, so most of the links out there to resources and discussions on Silverlight will dump you to the aforementioned generic page. One of the things this demonstrates is how short-sighted it is to create these mini-sites with their own top-level domain. It illustrates how fractured Microsoft is, with individual teams doing their own thing regardless. Microsoft has dozens of these sites, such as windowsazure.com, windowsphone.com, asp.net, and so on; there is little consistency of style, and when someone decides to fold one of these back to the main site, all the links die. What about Silverlight though? It was always going to be a struggle against Flash, but Silverlight was a great technical achievement and I see it as client-side .NET done right, lightweight, secure, and powerful. It is easy to find flaws. Microsoft should have retained the cross-platform vision it started with; it should have worked wholeheartedly with the Mono team for Linux-based platforms; it should have retained parity between Windows and Mac; it should never have compromised Silverlight with the COM support that arrived in Silverlight 4. The reasons for the absence of Silverlight in the Windows Runtime on Windows 8, and in both Metro and desktop environments in Windows RT, are likely political. The ability to run Silverlight apps on Surface RT would enhance the platform, and if COM support were removed, without compromising security. XAML and .NET in the Windows Runtime is akin to Silverlight, but with enough differences to make porting difficult. There is an argument that supporting Silverlight there would confuse matters, though since Silverlight is still the development platform for Windows Phone 8 it is already confusing. Silverlight is a mature platform and if Microsoft had supported it in the Windows Runtime, we would have had a better set of apps at launch as well as more developer engagement. I posted that Microsoft’s Silverlight dream is over in October 2010, during Microsoft’s final Professional Developers Conference, which is when the end of Silverlight became obvious. It lives on in Windows Phone, but I would guess that Windows Phone 8.5 or 9.0 will deprecate Silverlight in favour of the Windows Runtime. A shame, though of course it will be supported on the x86 Windows desktop and in x86 Internet Explorer for years to come. How difficult is it to build an app for the Windows Runtime (WinRT), which powers Metro-style apps in Windows 8? 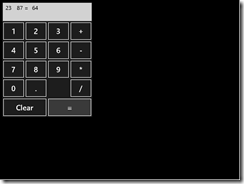 Here is how I created a simple calculator app (this is one in an occasional series) using Visual Studio 11 beta. 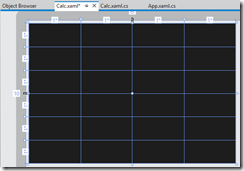 I started with a new Visual C# Windows Metro Style project, choosing a blank template. A slight complication is that you are prompted to install a Developer License, which means logging into your Windows Live account. Next, I had to layout the controls. 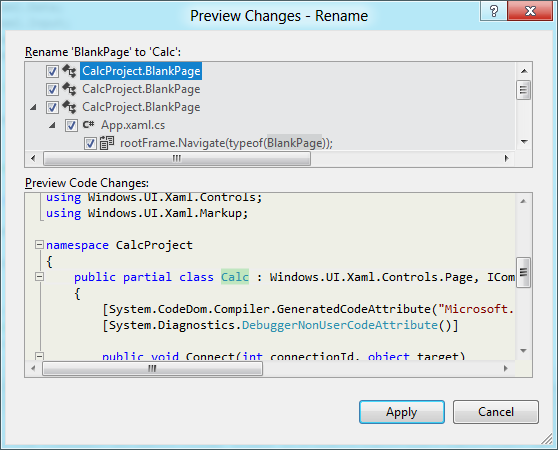 Visual Studio creates a single-page app with a main page called BlankPage.xaml. I renamed this to Calc.xaml. 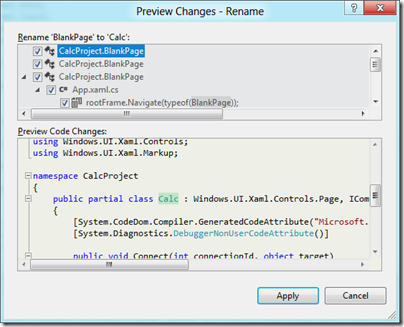 I also used Visual Studio’s refactor menu to rename the page class from BlankPage to Calc. The default application has a black background, which seems gloomy. I changed the Background of the container grid to white. Next, I placed controls in the grid. The easiest way to get them to fill the space neatly is to set their HorizontalAlignment and VerticalAlignment properties to Stretch. Then you control the margin round the control with the Margin property. You can have a control fill more than one cell by using the Grid.ColumnSpan and Grid.RowSpan properties. I found it easier to add the controls in code using copy and paste. A Grid has no FontSize property, and although the Page has a FontSize property it does not seem to be inherited by the controls. I therefore set the FontSize individually for each control but there must be a better way of doing this. 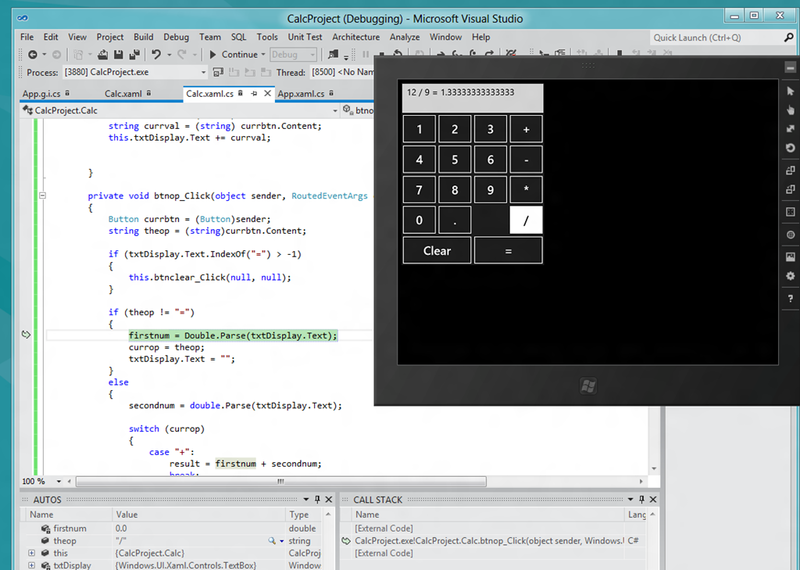 I then wrote minimal code that performs calculations without always crashing, and tested the app. When you debug, you can choose Local Machine, Simulator, or Remote Machine. I found it easier to debug using the simulator, since if you use Local Machine and Visual Studio is running on the main display, then the app you are debugging becomes invisible if you hit a breakpoint or exception. The simulator seems really good (it is actually a remote session into your own machine) and I would like some way of running all Metro apps in a window like this, not just for debugging! A developer with experience of C# and XAML (which is also used by Windows Presentation Foundation and by Silverlight) will not have much trouble getting started with WinRT, though I noticed that XAML is substantially cut-down, as Patrick Klug observes here. 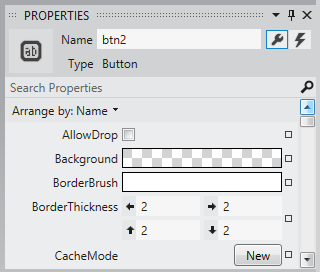 Visual Studio 2011 is an excellent IDE although I do not much like the new property editor; a minor point, but I find the latest go at prettification detrimental to usability; it is too busy. This may be a matter of familiarity and it is a minor point. 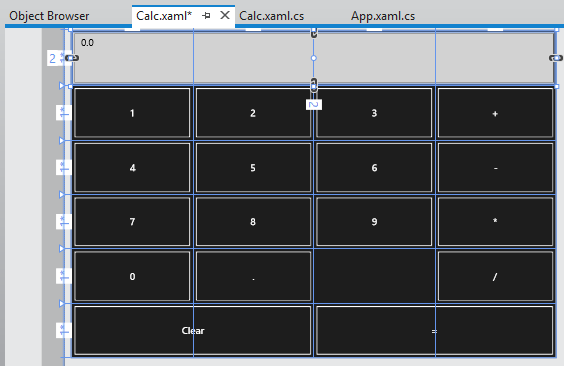 The XAML visual designer is slow to refresh even with my simple app, so this could be annoying with a more complex layout. 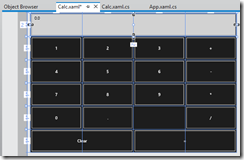 Layout with XAML works well, though it is more difficult than say Windows Forms for a new developer. 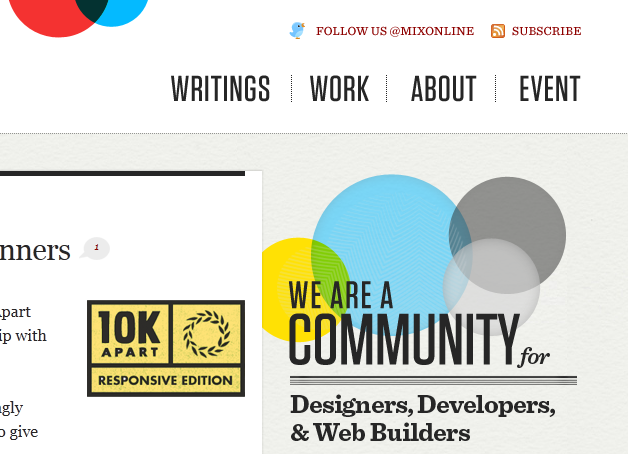 It is easy to get peculiar results unless you do everything with pixel layout, which is not the best approach. What about Metro itself? Apps always run full screen, and I had a problem with this in that my little calculator does not need all that space. I am not a designer; and I suppose with a bit of effort you could add some decoration or effects to use the space, or add extra features. But why? I was thinking about the Atari ST the other day, following the death of Jack Tramiel. The ST did not really multitask, but to get around the problem of needing to run a second app without closing the first, it had the concept of desktop accessories, available from a pull-down menu. 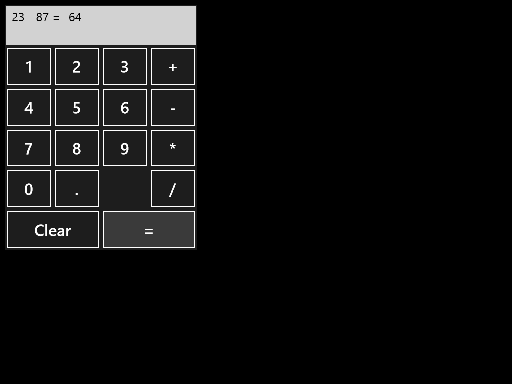 My calculator would work well as a desktop accessory in Metro, except there is no such concept – unless you count the “Snap” split view. I wonder if Microsoft is too religious about its “Immersive UI” concept. A few reservations then; but that does not take away from the overall impression of a strong integrated development experience for building Metro-style apps. Windows Phone 8, codenamed Apollo, will be based on the Windows 8 kernel and not on Windows CE as are current versions. This will not impact app compatibility: Microsoft expects to have over 100,000 Windows Phone 7.5-compatible apps available by the time WP8 launches, and they will all work fine on this new OS. We’ve also heard some developers express concern about the long term future of Silverlight for Windows Phone. 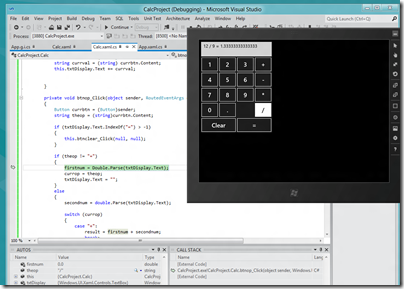 Please don’t panic; XAML and C#/VB.NET development in Windows 8 can be viewed as a direct evolution from today’s Silverlight. All of your managed programming skills are transferrable to building applications for Windows 8, and in many cases, much of your code will be transferrable as well. Note that when targeting a tablet vs. a phone, you do of course, need to design user experiences that are appropriately tailored to each device. Panic or not, these are not comforting words if you love Silverlight. Lieberman is saying that if you code today in Silverlight, you had better learn to code for WinRT instead in order to target future versions of Windows Phone. today’s Windows Phone applications and games will run on the next major version of Windows Phone. (in bold so that you do not doubt it), he also says that “much of your code will be transferrable as well”. Which is equivalent to saying “not all your code will be transferrable.” So how is it that “non-transferrable code” nevertheless runs on Windows Phone 8 if already compiled for Window Phone 7? It sounds like some kind of compatibility layer; I would be interested to know more about how this will work. Its really hard to sell this investment to customers with all these rumors floating, and you only willing to say that my skill set is preserved is only fuel onto that. The fact is that there is no good alternative to Silverlight, and its an awesome solution for distribution LOB apps, but the experience on win8 is horrible at best. And it doesn’t help that the blend team is ignoring us with a final v5, and sl5 is so buggy it needs 100% DEET but we don’t see any GDRs any longer. What are these acronyms? DEET just means insect repellent, ie. bug fixes. GDR is likely “General Distribution Release”; I guess Nielsen is saying that no bug-fix releases are turning up are turning up for Silverlight 5, implying that Microsoft has abandoned it. Still, it has been obvious for some time that WinRT, not Silverlight, is how Microsoft sees the future of its platform so nobody should be surprised. Update: Several of you have commented that Lieberman talks about WinRT on Windows 8 not on Windows Phone 8. Nobody has said that WinRT will be on Windows Phone 8, only that the kernel will be the that of Windows 8 rather than Windows CE. That said, Lieberman does specifically refer to “the long term future of Silverlight for Windows Phone” and goes on to talk about WinRT. The implication is that WinRT is the future direction for Windows Phone as well as for Windows 8 on tablets. Maybe that transition will not occur until Windows Phone 9; maybe Windows Phone as an OS will disappear completely and become a form factor for Windows 8 or Windows 9. This aspect is not clear to me; if you know more, I would love to know. Nokia results: hope for Windows Phone? It is almost one year since Nokia’s dramatic announcement that it would transition its smartphone range to Windows Phone. Today the company released its results for the fourth quarter and for the full year 2011, the first since the release of the the Lumia range of Windows Phone devices. How it is doing? This is one you can spin either way. The negative view: Nokia is losing money. Sales are down 21% year on year for the quarter and 9% for the full year, and the company reported an operating loss of just over a billion Euro for the year, most of which was in the last quarter. changing market conditions are putting increased pressure on Symbian. In certain markets, there has been an acceleration of the anticipated trend towards lower-priced smartphones with specifications that are different from Symbian’s traditional strengths. As a result of the changing market conditions, combined with our increased focus on Lumia, we now believe that we will sell fewer Symbian devices than we previously anticipated. says the press release. As for Windows Phone and Lumia, CEO Stephen Elop says that “well over 1 million Lumia devices” have been sold: a start, but still tiny relative to Apple iOS and Google Android. Elop cleverly calls it a “beachhead”, but given the energy Nokia put into the launch I suspect it is disappointed with the numbers. Put this in context though and there are reasons for hope. First, Nokia’s speed of execution is impressive, from announcement to the first Windows Phones in nine months or so. Further, the Lumia (judging by the Lumia 800 I have been using) does not feel like a device rushed to market. The design is excellent, and within the small world of Windows Phone 7 hardware Nokia has established itself as the brand of first choice. Second, despite the dismal sales for Windows Phone 7 since its launch, there are signs that Microsoft may yet emerge from the wreckage inflicted on the market by iOS and Android in better shape than others. WebOS has all-but gone. RIM has yet to convince us that it has a viable recovery strategy. Intel Tizen is just getting started. If Microsoft has a successful launch for Windows 8, Elop’s “third ecosystem” idea may yet come to fruition. Third, Nokia has already shown that it is better able to market Windows Phone 7 than Microsoft itself, or its other mobile partners. Lumia made a good splash at CES in January, and the platform may gain some market share in the influential US market. Nokia is not just Windows Phone though, and even if its smartphone strategy starts to work it has those falling Symbian sales to contend with. It will not be easy, even taking an optimistic view. Nor will it be easy for Windows 8 to succeed in a tablet market owned by Apple at the high end and by Amazon/Android at the low end.